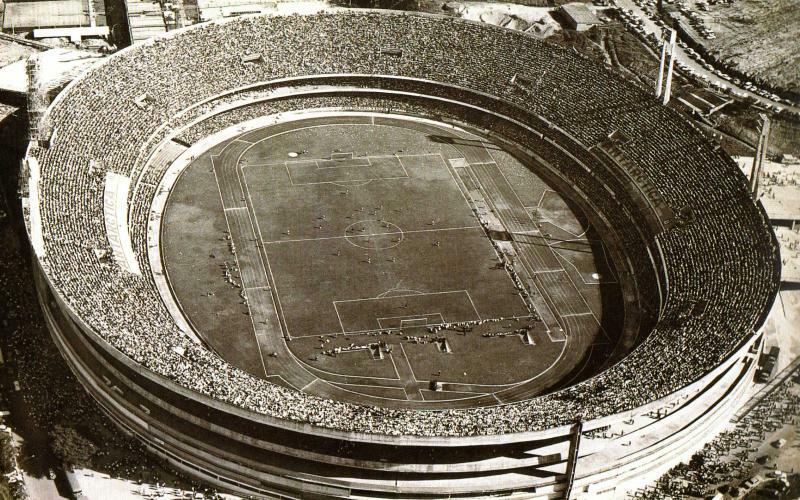 In the early 1950s São Paulo started a search for a site to build a new stadium. They finally managed to buy a plot of land in the Morumbi area, at that time an inhabited area of forests and swamplands still outside the city. In 1953 the club presented their plans for the construction of a massive concrete stadium that could hold 120,000 fans. Due to its location these were initially received with scepticism, and obtaining funding turned out to be troublesome. 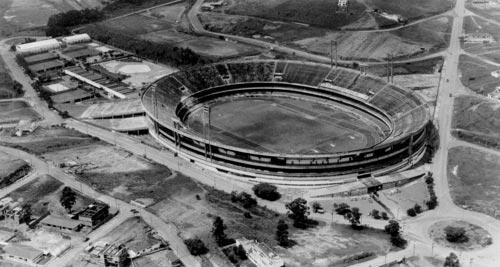 After several years of preparation, construction of Morumbi finally started in 1956. Works had progressed significantly by the middle of 1960, though were still nowhere near being completed yet. Still, the club decided to move in for the benefit of increased revenues, and on the 2nd of October 1960 the stadium officially opened with a match between São Paulo and Sporting Clube do Portugal (1-0). 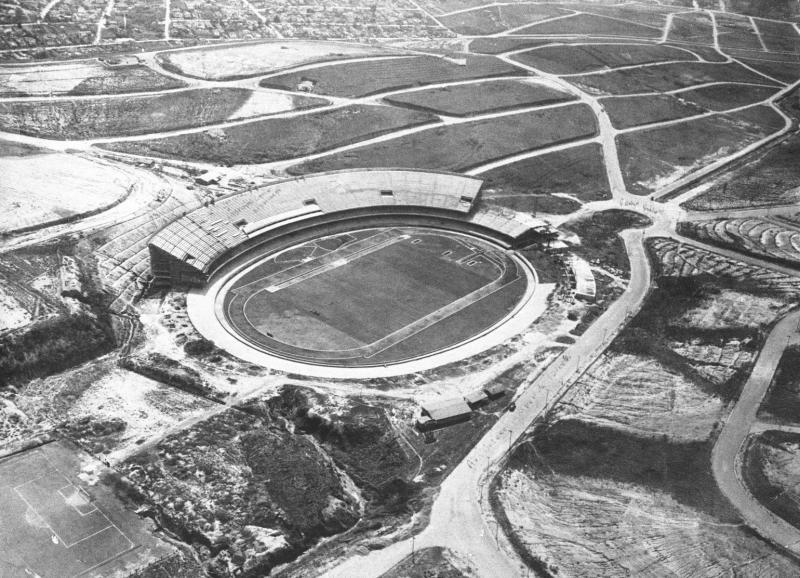 The stadium was officially named Estádio Cícero Pompeu de Toledo, but it got soon referred to as Morumbi. While the club had the intention to continue with the works, these stalled due to insufficient funding. It took until 1969 for construction to resume and one more year for the stadium to be completed. 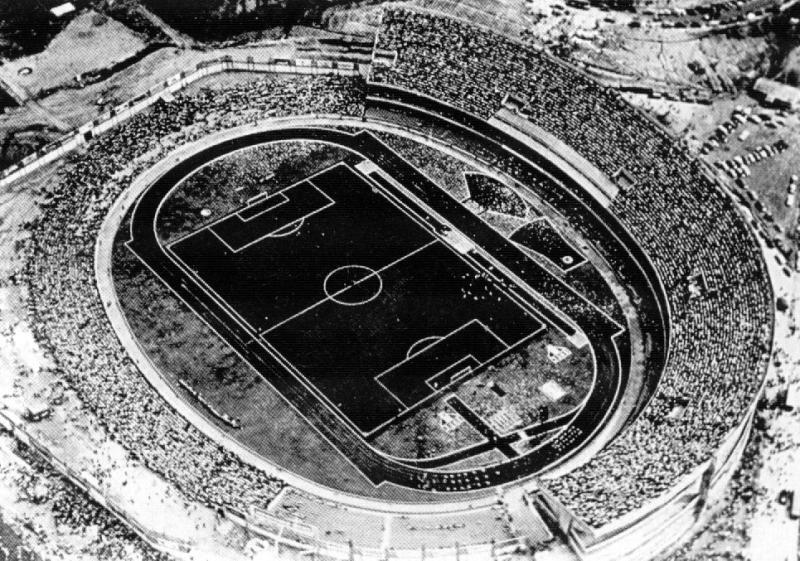 Morumbi was once more inaugurated on the 25th of January 1970 with a friendly against FC Porto. It could hold a total of 140,000 spectators at that time. Few changes were made to the stadium in the next decades until it underwent an upgrade in the late 1990s. This also reduced the capacity of the stadium to its current total. 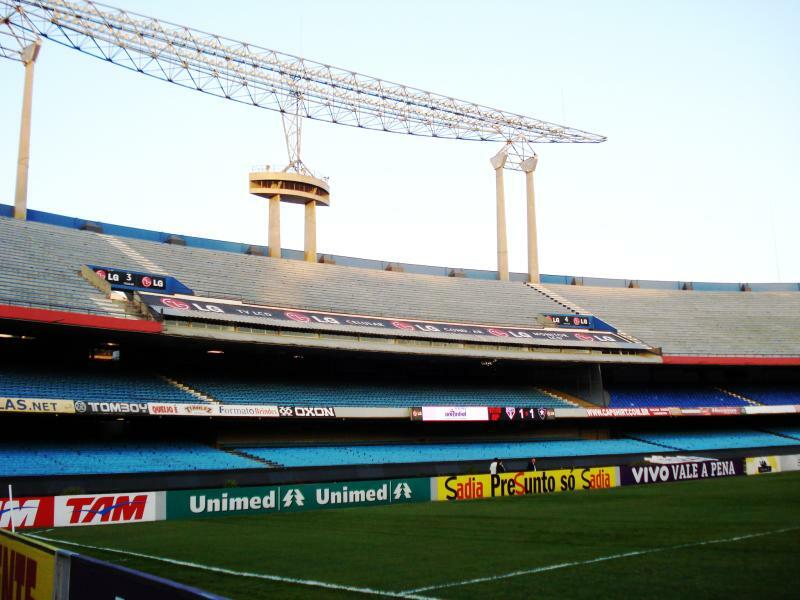 While the official capacity of Morumbi is 72,809, often not more than 62,000 tickets are available for sale. 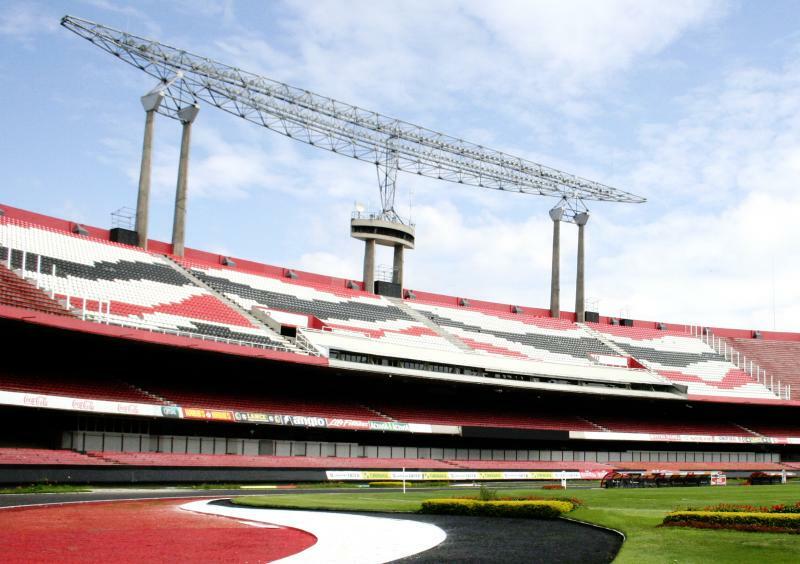 A few years ago, Sao Paulo announced plans for a major redevelopment of Morumbi, which would include the construction of a roof that will cover all seats. Thus far the stadium has only received some refurbishments including the installation of new seats. Estádio do Morumbi is located in the south-west of the city of Sao Paulo, about 11 kilometres from the city’s downtown and about 8 kilometres from the Avenida Paulista – Jardim Paulista area. There is no metro station close to the stadium, but it can be reached with several buses. Bus 5118 (direction Term. João Dias) and 5119 (to Term. Capelinha) can be taken from Avenida Brig. Luis Antonio in downtown. Line 647A, 647P, and 775F all leave from the Av Brig. Faria Lima in the Pinheiros area. Morumbi is located in a reasonably well-off residential neighbourhood, but with little around in terms of eating, drinking, and entertainment. That said, the Vila Olímpia and Moema nightlife areas are only a few kilometres east of the stadium. There are no hotels in the immediate vicinity of the stadium, though from Novotel Morumbi you can about just walk to the stadium. The various hotels near WTC São Paulo, in the Vila Olímpia area, or in the Itaim Bibi area are good options as well from where it is just a short taxi ride to the stadium. Click here to see all hotels near Morumbi and here for further hotels in São Paulo. Tickets for São Paulo matches can be bought online through Total Acesso, at the ticket office at Morumbi, or at one of the other sales outlets, though none of these are located particularly central. Make sure to bring an ID when buying tickets. It is generally also possible to buy tickets on the gate on the day of the match, but exceptions may apply. Ticket prices typically range from R$30.00 to R$140.00. You can also buy match packages including transfer from the Jardim Paulista area through the Passaporte website. São Paulo offer guided stadiums tours that include the dressing rooms, press areas, control room, players tunnel and dugouts. Tours tend to run multiple times a day between 10:30am and 3:30pm. Check the Morumbitour website for upcoming dates and hours. The tour costs R$30.00. For more information call +55 (11) 3739 5222 or email atendimento@morumbitour.com.br. Saopaulofc.net – Official website of São Paulo FC. Cidadedesaopaulo.com.br – Official tourism site of the city of São Paulo. Sptrans.com.br – São Paulo public transport information. is the stadium with better structure in Brazil. the cabins are the best. the location is not very accessible because the metro line (yellow) that will pass near the stadium is not ready yet. But you can get a taxi to get there. Finally, the stadium is very good, the atmosphere is even better in gaming Cup liberatadores. 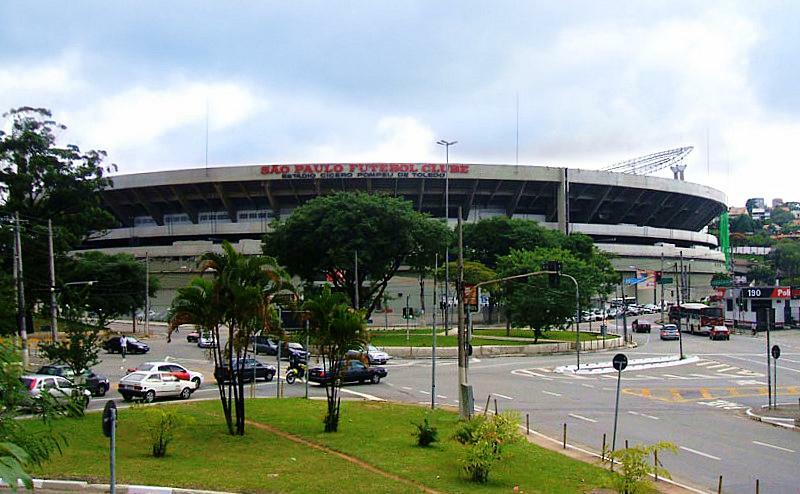 and the team that owns the stadium, São Paulo FC, ​​is the most successful of Brazil.